Finding that the woman was treated less favourably than her comparators, the woman was awarded €10,000 in the Labour Court, and the High Court and Court of Appeal agreed that she was entitled to redress. However, overturning the decision of the Labour Court, Chief Justice Frank Clarke said that the relationship between the Minister and the teacher could not be construed as involving a contract of services under the Protection of Employees (Part Time Work) Act 2001, and rather than being any responsibility of the Minister, the denial of access to a pension scheme was due to the pre-school’s lack of resources. Ms Anne Boyle was a teacher in Hillside Park, a grant-aided pre-school in Galway for children from the travelling community, from 1989 until it was closed in 2011. A grant amounting to 98% of the salary payable to a primary school teacher was paid by the Minister for Education and Skills to the Committee of Management of Hillside Park Pre-School in respect of her salary. Ms Boyle made a complaint to the Rights Commissioner Service pursuant to the provisions of the Protection of Employees (Part-Time Work) Act 2001, claiming that she was treated less favourably than full-time workers by not being admitted to the National Teachers Superannuation Scheme. In 2011, the Rights Commissioner concluded that the Department of Education was neither the employer nor an associate employer of Ms Boyle within the meaning of the 2001 Act. In 2012, the Labour Court found that Ms Boyle was an employee of the Minister for Education and Skills and that she had been treated less favourably than a full-time comparator in relation to pension rights. The Labour Court directed that Ms Boyle be admitted to the Superannuation Scheme and awarded €10,000 in compensation. In 2015, the High Court agreed that Ms Boyle was an employee of the Minister, however, it was held that the Labour Court did not have jurisdiction to admit Ms Boyle in the Superannuation Scheme, as it was a statutory scheme which would have required the payment of contributions. Stating that he did not consider the Labour Court to have acted irrationally or unlawfully in awarding compensation, Ms Justice Iseult O’Malley directed that the Labour Court reconsider the question of compensation taking account of the invalidity of directing that Ms Boyle be admitted to the Superannuation Scheme. In the Court of Appeal in February 2017, Mr Justice Gerard Hogan agreed that the Labour Court was incorrect to direct Ms Boyle’s admission to the Superannuation Scheme as it amounted to a direction to the Minister to alter the terms of the National School Teachers’ Superannuation Scheme 1934. Mr Justice Hogan also held that Ms Boyle was an employee of the Minister for pay related matters, that she was treated less favourably than full-time teachers doing comparable work, and that she was entitled to redress under the 2001 Act. 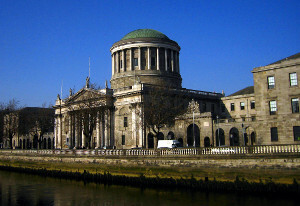 Leave was granted to the Minister to pursue the present appeal to the Supreme Court on the following ground: whether the Minister can be said to be an employer of Ms Boyle in relation to pay related matters for the purposes of the 2001 Act. Chief Justice Clarke said that in order for a sustainable decision of breach of the 2001 Act to arise, it was necessary that both Ms Boyle and the comparator were employees. Chief Justice Clarke said that an employee is defined by reference to someone who has “a contract of employment”, which in turn is ‘defined as being a contract of service or apprenticeship or, in circumstances not relevant to this case, certain situations arising in the context of employment agency’. In order for Ms Boyle to succeed in her claim under s. 7(2)(a) of the 2001 Act, it must be found that she had a contract of service with the same employer as the comparator – i.e. the Minister. As such, ‘the net question was whether the unusual relationship existing between a teacher, a board or committee of management and the Minister can properly be construed as involving, at least in part, a contract of service between a teacher and the Minister’. Chief Justice Clarke said that this case presented an added consideration where the Minister did not always pay the teacher directly but rather paid a grant to a school based on a calculation by reference to the teacher’s salary. Chief Justice Clarke said that while the particular arrangements which applied to Ms Boyle ‘were somewhat unusual’, the issues arising had ‘the potential to affect a much wider category of employment arrangement’ – i.e. where a party may be said to provide the funding for a contract of employment (e.g. employees in the health sector funded by the government, or staff paid by charities or NGOs). Chief Justice Clarke said that there were likely to be many cases involving at least an indirect funding in substance of a contract of employment and a material measure of control by the funder over the financial terms and conditions of the contract of employment. Although it was true that Ms Boyle’s salary was fixed by the Minister, Chief Justice Clarke noted that other teachers involved in traveller pre-school education, who were employed in schools run by Barnardos, were admitted to the general Barnardos pension scheme’. As such, the fact that Hillside Park did not provide for a pension for Ms Boyle was not dependent ‘on any rule or practice emanating from the Minister’, but was a result of the lack of resources available to Hillside Park and not any issue connected to the Minister. Placing particular regard on the decision of the Supreme Court in O’Keeffe v. Hickey  IESC 72, Chief Justice Clarke said that the reasoning of the Court was clear in that it was accepted that the contract of the wrongdoer in question was with the management of the school rather than the Minister. Chief Justice Clarke said that there was no reason to depart from that rationale. Stating that it was not possible to characterise the relationship between the Minister and Ms Boyle as involving a contract of service to which the Minister was a party, Chief Justice Clarke said that ‘to do so would involve an extension of the law of contract beyond any known boundaries’. In the specific context of the 2001 Act and its reliance on the term “contract of service”, Chief Justice Clarke said that ‘it would be stretching things much too far’ to suggest that there was a contract of service involving the Minister. Allowing the appeal, Chief Justice Clarke held that the finding of the Labour Court was wrong in law and should be quashed.